Not on Netflix anymore, but on HBO. 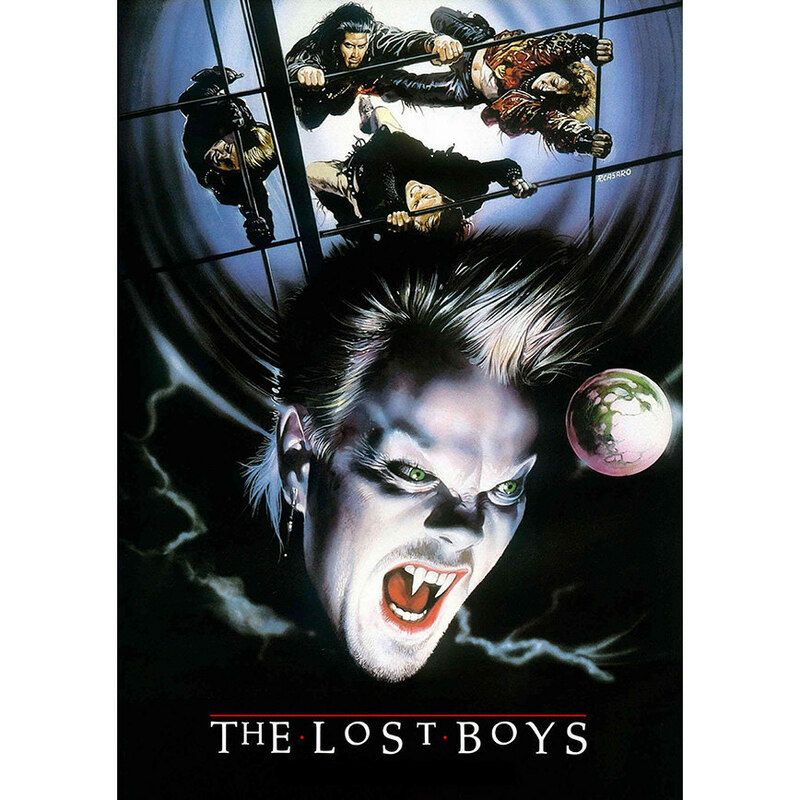 ...but then The Losy Boys show up... Kiefer Sutherland is a top notch actor, but not great as a tough guy because he seems more sarcastic than intense, and what is 'Bill & Ted's Excellent Adventure' doing here? Neither help their crew look like these legendary punks. The brothers' transformation is just too matter of fact, and with these jokers, to seem alarming. It's an ambitious move to introduce the villains first then try to make them more menacing later. 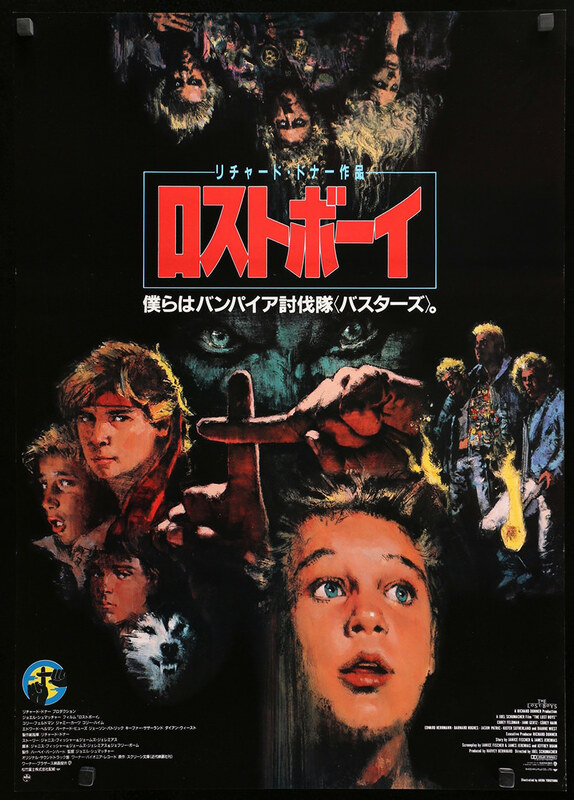 They do shine in the reveal scene at the campfire which highlights a strength of Lost Boys, the almost music video style sweeping cameras and faces posing into the camera. 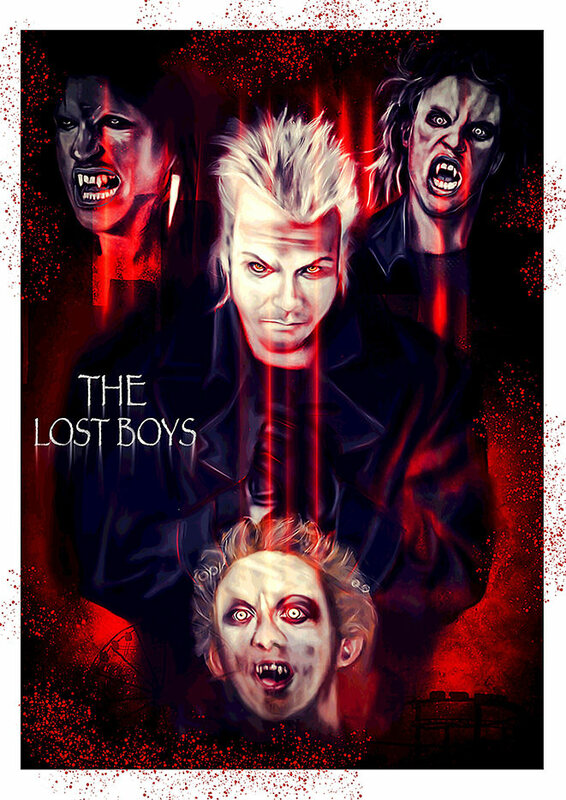 I love the head vampire twist but it doesn't really make sense that this crew of 'bad boys' was always just looking for a mommy for their vampire dad. If anything there's too much going on and not enough setup, it never really feels like we know much about the many characters. 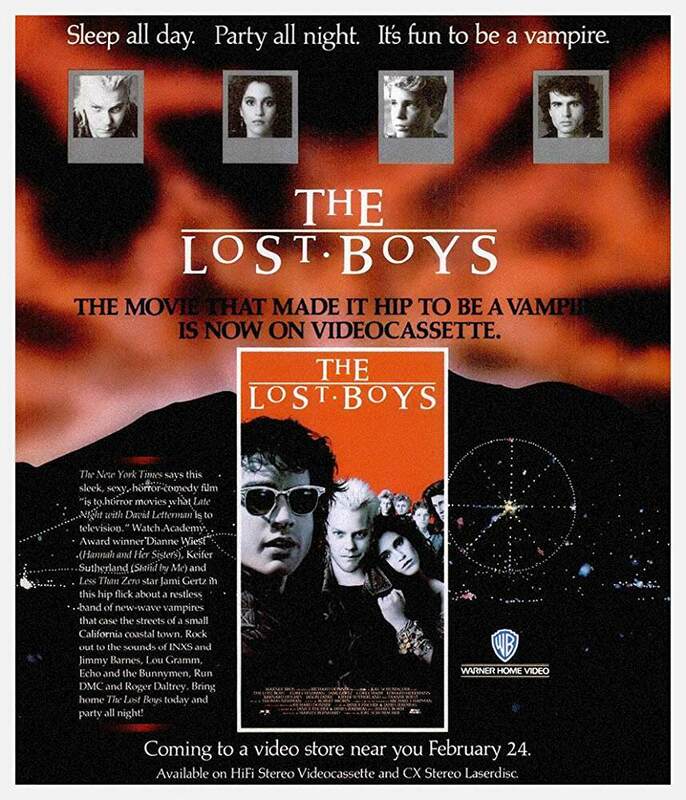 The Frong Brothers posing as 'vampire experts' at the local comic book story is great, they're nice comic relief working as an alternate set of 'lost boys,' kids against kids. Star as a potential love interest is also curious but she's mostly set dressing without many lines or gravitas - sort of generic girlfriend. Isn't it kind of sad they kill all the vampires then it's revealed that they could have only killed the one head vampire, the guy they suspected from the start? I'm not sure I have it in me to try the alleged sequels. Last edited by Undeadcow; 10-21-18 at 01:27 AM. 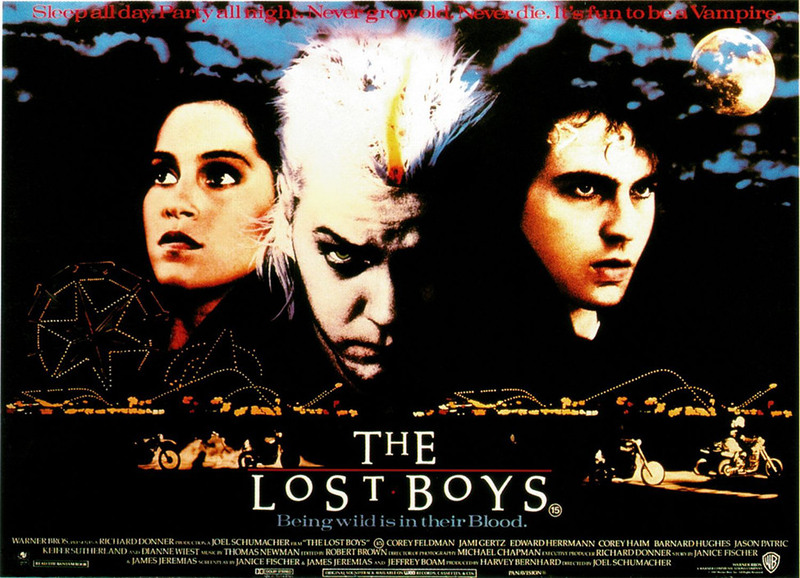 Watching The Lost Boys a few challenges ago I had forgotten how ubiquitous "Cry Little Sister" was on the radio at the time. A pretty good soundtrack for a movie influenced by MTV and music videos. If I’ve tried any of the sequels, I’ve erased them from my memory. But I really enjoyed this re-watch, less cheesy than I remember. I've been wanting to rewatch this and was glad to have a reason to do so. I loved it. Looks great on blu ray. As Trevor said, this was less cheesy than I expected, actually quite good. Keifer Sutherland was great and the Coreys. Good effects, good production overall. Thumbs up for me. Loved this movie when I was a kid and enjoyed rewatching it last night. Epic sax guy steals the movie. I'm gonna go oil myself up. 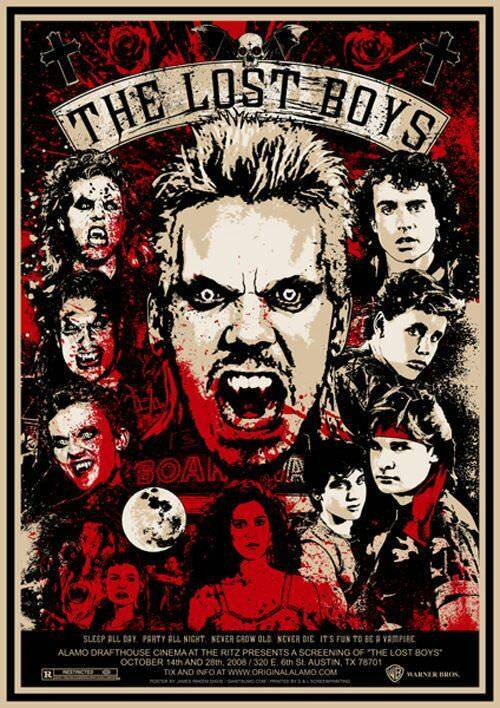 The Lost Boys still holds up for a PG-13 vampire flick. Oiled sax guy is hot as hell. Watching the movie again is a melancholy experience knowing about the Coreys. 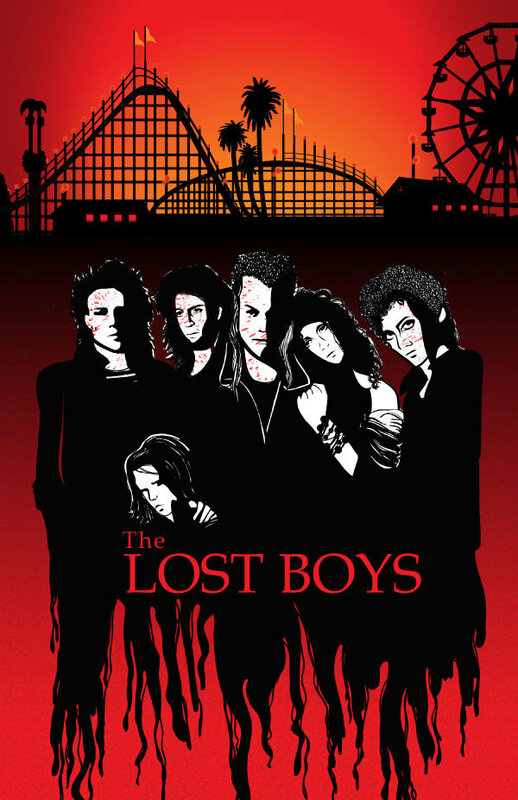 I like the lost boys. I am not in love with it. 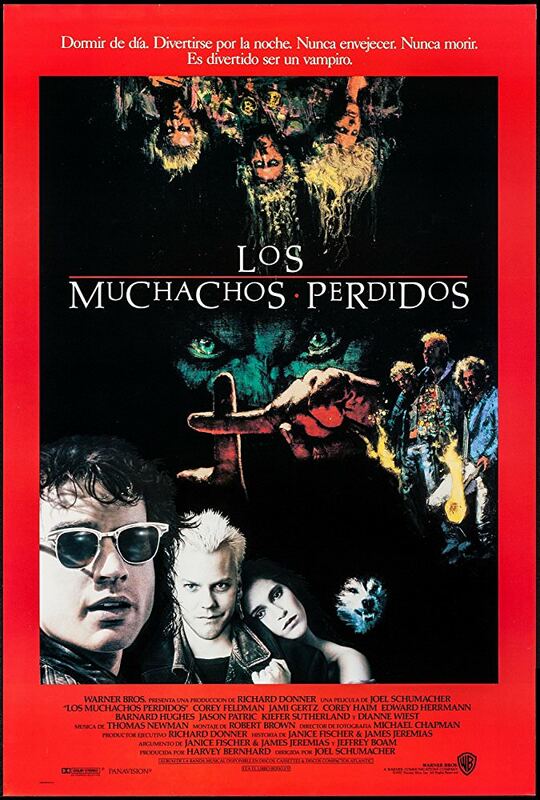 It is an entertaining film and excellent acting, but not a favorite vampire interpretation of mine. Wow. This hasn't aged well at all. I was sort of dreading watching this because in my mind it seemed so dated. I hadn't watched it since probably around that time, and it feels so representative of MTV from that era, with the fashion, the music, the way it was all filmed. 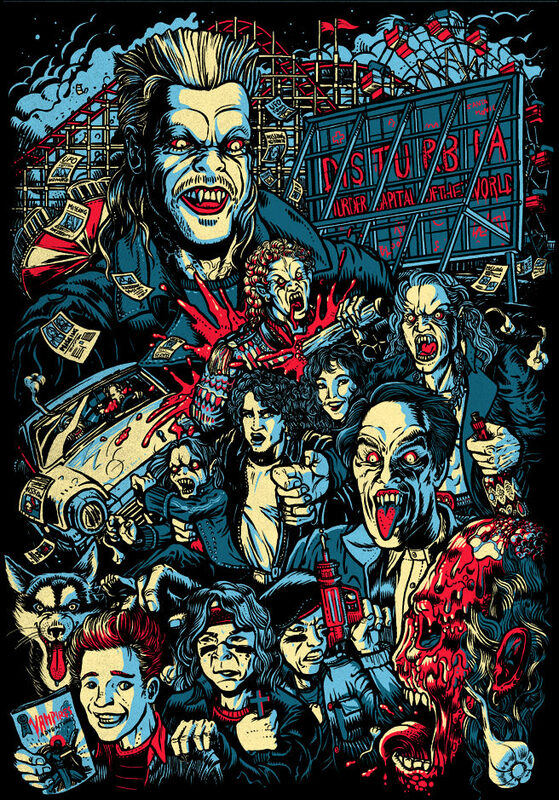 Should we be surprised that a film directed by Joel Schumacher would have an incredibly underdeveloped female love interest; a group of pretty boy vampires; a musclebound, oiled up sax player; and a Corey Haim bathtub scene? Probably not. Someone mentioned Sutherland being a poor tough guy. The funny thing is he would go on to play the ultimate TV tough guy in Jack Bauer on 24, but I must agree that he comes across as more snotty here. I guess he needed to grow into it. I do really like the performances from Wiest and Herrmann; Wiest can pretty much elevate any material. Feldman was awful, and Haim wasn't much better. This was one of my favorite movies growing up. My babysitter had it on VHS and I would watch it on a weekly basis. I'm 32 now and when I revisited it on Netflix a couple of years ago the homoeroticism hit me like a fabulous freight train. Corey Haim in the bathtub, the fempires, the epic sax man. It was amazing. It's incredible what kind of stuff can go over your head as a child.